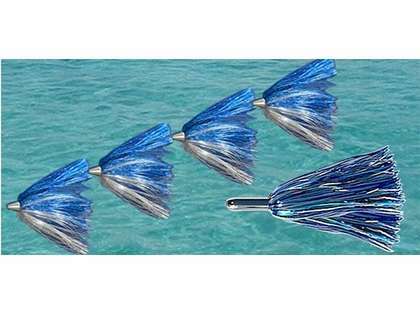 The Tormenter Duster Steel Head Chain is best for fishing Mahi. 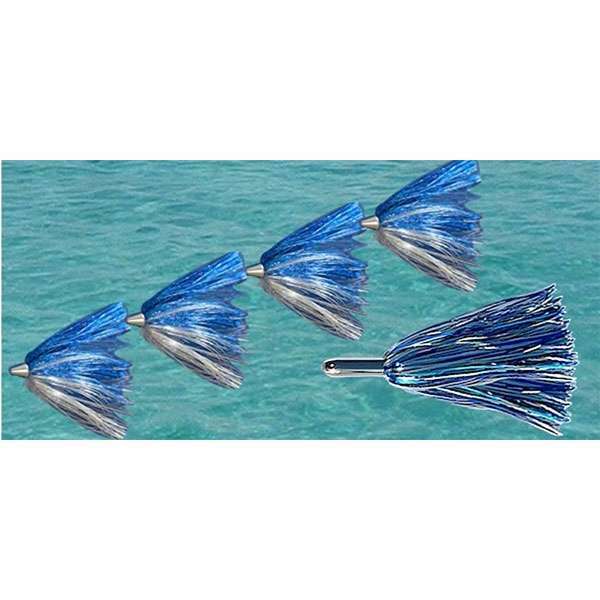 The dusters sparkle across the surface with the steel head trailing, immitating a small predator chasing small bait fish. This chain features four Tormenter dusters with a steelhead in the front on 130lb Momoi line with a super sharp, strong, dust resistant hook. This chain comes ready all set to fish with and comes in an 8x8 lure bag.